I have been working on my one 3D render and i like to show some pictures and source if you like. 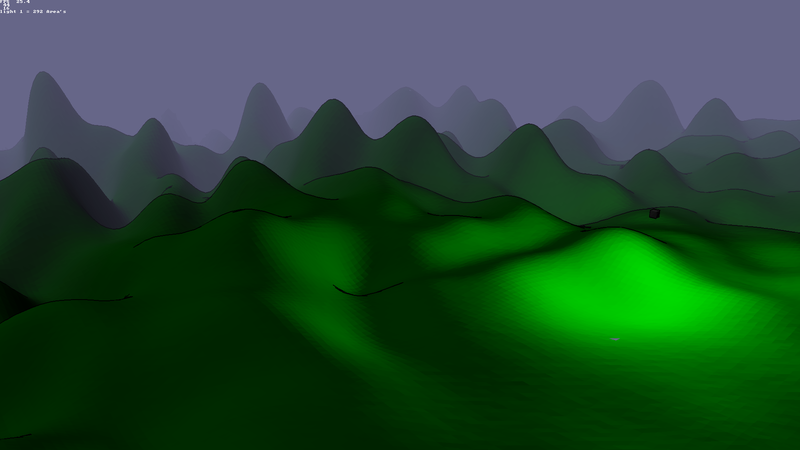 I call it a low-polygon cartoon style 3D. Never did think to make it this far. 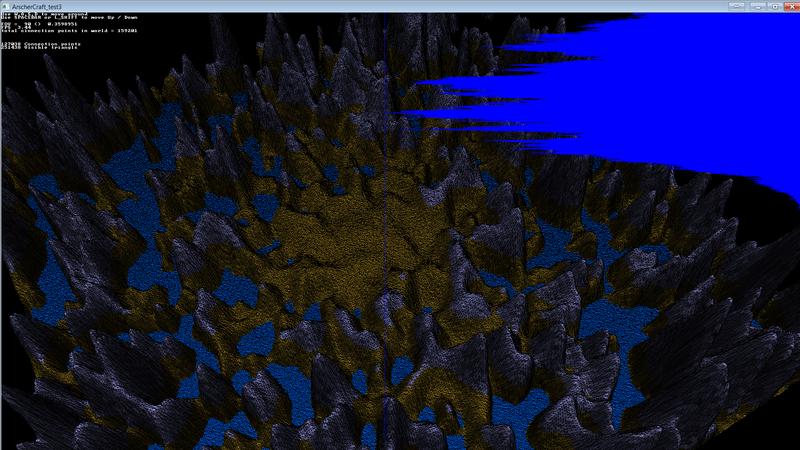 The world render code is a 16x16x16 chunk area by default and containing points, triangle and lights in range. My plan is to send the chunks over internet for a multiplayer game, but i have a lot to do. And i'm still learning the freebasic languages on my one way. Looks good....f14 kamakzee is a game i developed in freebasic going back many years...it took me over a year of prgramming to get a good working demo whipped up..realms of darkness was another...notbsure if itnwould still be on this server or not. Now loads from STL 3D files. 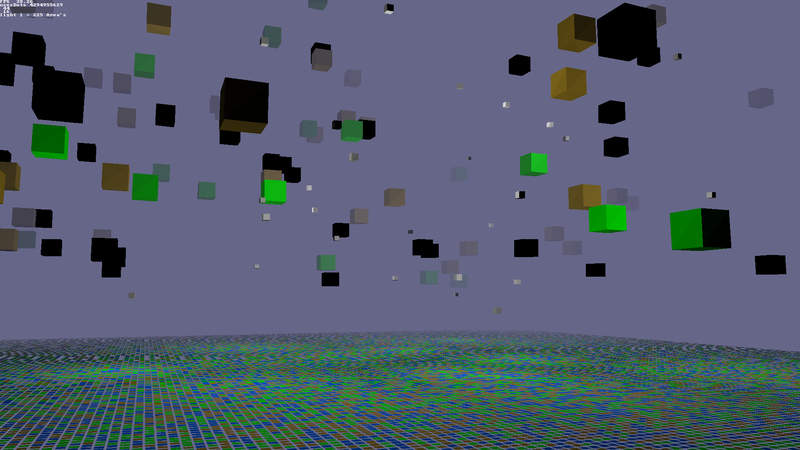 The 200 trees are objects and the cubes are dropped in solid world. Moving light is still not on the objects. Last edited by Gunslinger on Oct 08, 2018 22:34, edited 1 time in total. The source code is not little any more. So many thing to improve and cleanup. 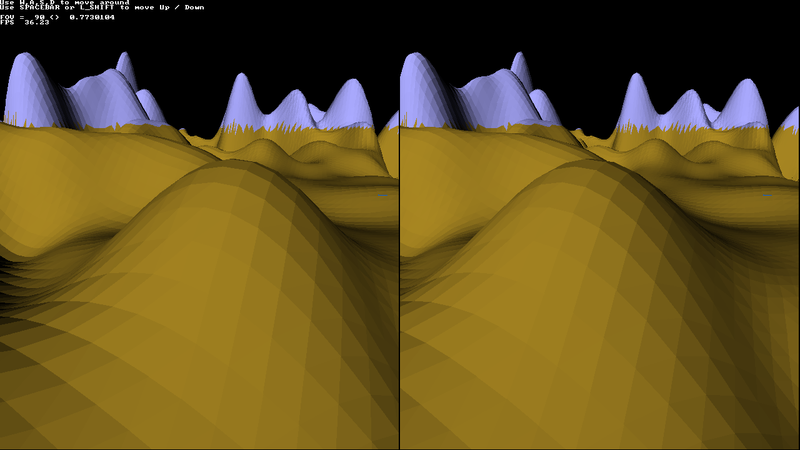 I think i can use pointers in triangles data type to improve performance. Nice! Didn't take a really depth look, but for now I can tell you that it freezes the process after a while. Are you using getMouse() in another thread? It is either this, or you're having a race condition somewhere in the code. Pretty good work, considering it's rendered all in software! Thanks, Freezes happens when the video buffer is to small. It wil do a redim preserve for more room as many times as needed. That array is very big so it freezes a bit, over times it will stop doing that. And i know about frame rate, just like to see how high it gets. Last edited by Gunslinger on Oct 09, 2018 20:37, edited 1 time in total. Gunslinger wrote: Thanks, Freezes happens when the video buffer is to small. Gunslinger wrote: And i know about frame rate, just like to see how high it gets. #include "include/keyboard.bi" to #include "Include/keyboard.bi"
And it runs under linux fbc32 and fbc64 bit as well. Movement with mouse-pad is a bit annoying. Cool demo. Can the code be used to make something like this? I remember the fun of learning to land on the air craft carrier without crashing. Flying under the Golden Gate bridge and over Alcatraz. Looking back on some of the old software I have to take my hat off to the clever programmers of the time who had to make do with little memory and slow computers. Of course the Amiga did have special graphics hardware for some things such as drawing and filling in polygons. I remember Mark Silby of Blitz Basic fame making a simple 3d demo of flying around the three pyramids and thought it would be cool to be able to do that myself. BasicCoder2 wrote: Cool demo. Can the code be used to make something like this? I think this can do better then that game. The number of triangles i have is insane and uses like 800mb just to load the world. Sins the world in my code is made of areas(chunks) so i can load chunks from disk and unload unused chunks, if needed. The core code is far from complete. I had a look in memory use and i found the world reserved 4-8 times more then needed areas. And i am sure more things are big. Got it down to 200mb on 32-bit. I will look in the frame rate game speed issue, thanks for the link. The plan is to have everything timer based speeds. Three months to turn it into a game, i'm not sure if that is possible. And mouse-pads are always annoying, but works fine here.